The Trump Administration and 115th Congress have sent clear signals that they intend to dismantle science-based health and safety protections, sideline scientific evidence, and undo a decade’s worth of progress on scientific integrity. Republican lawmakers are preparing to roll back the influence of the Endangered Species Act, arguing that the law is an unnecessary hindrance to economic development. JANUARY 18, 2017 —The Endangered Species Act may soon be, well, endangered. The National Aeronautics and Space Administration’s (NASA) programs on climate and earth science face cuts under President Trump’s first proposed budget blueprint. The president’s plan, unveiled Thursday, requests $19.1 billion for NASA overall, a 0.8 percent decrease from last year’s $19.3 billion budget. Earth science programs would be cut slightly from $1.9 billion to $1.8 billion in annual funding. The blueprint, though, calls for eliminating four earth science missions: PACE, OCO-3, DSCOVR Earth-viewing instruments, and CLARREO Pathfinder.DSCOVR, the Deep Space Climate Observatory was originally proposed by former Vice President Al Gore, and uses satellites to measure the earth’s carbon levels. Trump’s budget also calls for cutting $250 million in grants for the National Oceanic and Atmospheric Administration (NOAA) under the Commerce Department to help coastal communities deal with climate change. Trump’s budget also proposes cuts to Environmental Protection Agency climate programs. The proposed budget also calls for eliminating NASA $115 million Office of Education in favor of consolidating educational efforts under the agency’s Science Mission Directorate. The president’s collision with the media is changing the way newsrooms operate – and may rejuvenate journalism. Today the very meaning of truth and fact is called into question. President Trump has repeatedly claimed that, were it not for massive voter fraud, he – not Hillary Clinton – would have won the popular vote by nearly 3 million votes. He alleges that “thousands” of Massachusetts residents were bused into New Hampshire to vote against him. Both charges lack evidence. But are Trump’s venomous attacks – propelled to countless true believers in his tweets and passed along on partisan websites – “just politics”? The consequences to some journalists have been real and personal. Reporters who have criticized Trump have had their home addresses and the names of their children distributed through extremist sites. The Washington Post retained security guards to protect one of its reporters who had been threatened anonymously for his coverage. Female journalists and reporters with Jewish-sounding names regularly endure scathing assaults on social media. Former Fox News anchor Megyn Kelly’s criticisms of Trump so riled some in her audience that she hired an armed guard to accompany her and her children as they vacationed at Disney World. These threats and attacks come because the news reporters are doing their jobs. They report embarrassing facts about Trump’s behavior or his predilection for repeating statements that are – and you can choose your own word here – inaccurate, falsehoods, exaggerations, or lies. At this point in the nation’s history, having a president with little regard for facts that challenge his beliefs isn’t a trivial matter. American democracy presupposes a well-informed citizenry – that is, it depends upon voters making decisions using factual information. Legendary columnist Walter Lippmann wrote in 1920, “There can be no liberty for a community which lacks the means by which to detect lies.” That is as true today as it was a century ago and serves well in defining the purpose of serious journalism in the Trump era. The Forward reported today that leaders of the “Historical Vitézi Rend” claim Gorka is an official member of the organization, which is a reconstitution of the World War II era Vitézi Rend group. The State Department lists Vitézi Rend as having been “under the direction of the Nazi Government of Germany during World War II,” and classifies members of this group as inadmissible to the United States under the Immigration and Nationality Act. The original Vitézi Rend organization, of which the Historical Vitézi Rend organization claims to be an heir, was established as a nationalist group by Hitler collaborator Admiral Miklos Horthy. The Historical Vitézi Rend group ascribes to nationalist, racist, and antisemitic ideologies similar to those of the original organization. Federal scientists are working hard every day to make the food we eat, the medications we take, the air we breathe, and so much more safe for all Americans. Unfortunately, these same scientists are hearing harsh rhetoric attacking the safeguards they provide, some are being muzzled by orders prohibiting them to speak out about their research, and all are uncertain about what the Trump administration and Congress might due to cut science-based programs and their staff. Help pushback against the anti-science rhetoric from the Trump administration with some appreciation: Take a moment to thank a government scientist today. Let them know how much you appreciate the crucial role they play in our daily lives and that you will advocate for science-based policies every day! Not on Twitter or Facebook? Do you have a superpower? Because we do! Check out the new #ScienceIsMySuperpower collection and tell us yours! 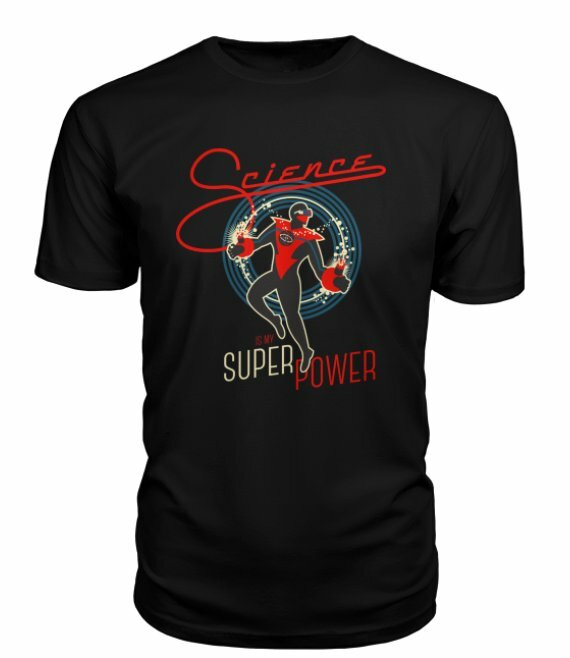 http://marchforscienceshop.com/collection/Science-is-Super …! Please follow – March for Science on twitter and show up for one of the many April 22, 2017 Marches for Science happening throughout the world to support science, scientists and non-politicized scientific facts, data, accuracy and research being undermined today by Trump administration and GOP controlled House and Senate in America, in right wing media outlets, and in many state legislatures. We are on the verge of something big. Scientists as a group are politically engaged like never before. They are communicating with decisionmakers, ready to march, and ready to run for office. The March for Science—an event that formed organically by a few enthusiastic people on Reddit and snowballed from there—is slated to be the largest demonstration for science that this country has ever seen. I’ve personally been blown away by the unprecedented support for scientists in the streets. In recent weeks, President-elect Donald Trump has nominated a growing list of Cabinet members who have questioned the overwhelming scientific consensus around global warming. His transition team at the Department of Energy has asked agency officials for names of employees and contractors who have participated in international climate talks and worked on the scientific basis for Obama administration-era regulations of carbon emissions. One Trump adviser suggested that NASA no longer should conduct climate research and instead should focus on space exploration. Those moves have stoked fears among the scientific community that Trump, who has called the notion of man-made climate change “a hoax” and vowed to reverse environmental policies put in place by President Obama, could try to alter or dismantle parts of the federal government’s repository of data on everything from rising sea levels to the number of wildfires in the country. Michael Halpern, deputy director of the Center for Science and Democracy at the advocacy group Union of Concerned Scientists, argued that Trump has appointed a “band of climate conspiracy theorists” to run transition efforts at various agencies, along with nominees to lead them who share similar views. In response, the U.S. House Science, Space and Technology Committee chair, Rep. Lamar S. Smith (R-Tex. ), tried to subpoena the scientists and their records. That effort launched by Holthaus is one of several underway to preserve key federal scientific data. Please go read this article from its original source and share it as much as possible – the more people that help protect the data, research and information now and going forward, the better as Trump and the GOP begin dismantling as much as possible from the inside of every US government agency.